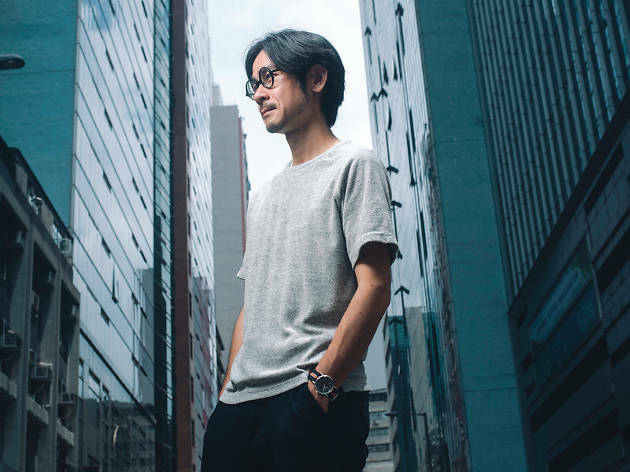 "I hope this competition introduces more abstract and groundbreaking filmmaking to HK audiences"
Hong Kong cinema has long been in the doldrums, ever since the pre handover brain drain that saw many of the local industry’s best and brightest look for careers elsewhere. Between 1992 and 1998, overseas revenue of Hong Kong film production dropped 85 percent and often it’s felt like the industry might never recover from that crushing decline. Finally, though, things are looking up. 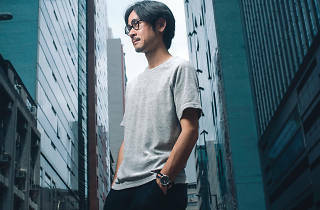 The success of the politically provocative Ten Years has reignited interest in the local film industry, while Trivisa, ably co-directed by three graduates of Johnnie To’s Fresh Wave Short Film Festival, demonstrated there’s still much untapped talent in the city. Ahead of the contest, we speak to one of the competition judges, local director Adam Wong, the man behind 2013’s hugely popular The Way We Dance and last year’s She Remembers, He Forgets, to hear what he’ll be keeping an eye out for. Out of all the international film festivals, Sundance has probably the best mix of reputation and recognition. Films at Sundance are more authentic compared to the mainstream movies at the Oscars and are more accessible than the art house movies at the big European film festivals. They’re all good in their own way, but Sundance places a huge emphasis on making indie films and films with smaller budgets, and has the rare ability to combine an independent spirit with commerical appeal. What’s your criteria for judging short films? I have a lot of experience with short film competitions and I don’t have a different set of standards or judging rubric compared to feature-length films. Basically, it’s about demonstrating great creativity. Creativity can be broad, but I look at authenticity and energy. Then, how much do I enjoy the film and its message, the filming techniques and, finally, originality. Many of the topics covered in cinema are the same ones, but the way in which you can translate those topics to the screen is almost endless and full of possibilities. So I really do look for originality from filmmakers. How do you feel about the competition coming to Asia for the first time and doing so here in Hong Kong? The fact that Sundance is coming to Hong Kong is an incredible thing. It’s also another opportunity for young filmmakers in Hong Kong to participate in. As I said before, Sundance’s name and independent spirit is widely recognised, so it’s huge. This is a time when there’re more and more aspiring filmmakers and anyone can make movies. It’s important to remember that filmmaking is about creativity, it’s about that independent spirit. What sets shorts apart from full-length films? What’s special about short films is that they’re short. I know that’s an obvious answer but short films are a whole different beast compared to feature films. Because they’re short, there are additional factors you have to consider. For example, the plot has to be concise and to the point. The story’s drama has to be sharper and more in focus, any symbolism has to be more clear-cut and representative, and the dialogue needs to be especially punchy. Even aspiring filmmakers are used to watching feature films, so when they starting plotting a short film their ideas are not appropriate for the medium. I teach filmmaking and [when assigned shorts] my students tend to present stories and ideas that are more suitable for full-length features without knowing it. You can’t tell a lot in a five-minute film. Finding the best method to successfully tell a story using the full potential of all five minutes while leaving a lasting memory is hugely important. That’s the power of a short film. A great short film can be even more memorable than a full-length movie. I hope this competition introduces more abstract and groundbreaking ideas to Hong Kong audiences and can inspire different styles of filmmaking in the city. Most movies in Hong Kong are very plot driven, and the great thing about short films is that it’s not always about the plot. Did you attend film school yourself when younger? Not really. I was a fine arts major at Chinese University of Hong Kong. I wanted to study film but I didn’t have money at the time. I applied for an exchange programme and in my fourth year of uni I went to the University of Iowa as an exchange student for a year. That’s where I studied film courses and used equipment to start making short films. What are your own experiences making short films? I have to say, making short films is a lot less stressful! I don’t have to worry about ticket sales and box office receipts, and it takes less time. Also, because of budgetary reasons, you work with a much smaller crew and I really enjoy that. You’re closer and have a more intimate relationship with the crew and there’s less of a hierarchy. There aren’t as many big scenes and you rely on street scenes, which I love. You develop a special bond with the street and interact with people and the community. Young filmmakers should really take advantage of the flexibility of short films, where they can enjoy a stress-free experience, which doesn’t come with big budget movies. How important do you think cinema is to society and to Hong Kong’s arts and culture in particular? Films are important and can be powerful and influential. They provide more direct communication to audiences that other art forms, like paintings and sculpture, can’t achieve. Films are a part of pop culture, so their influence can spread rapidly. In a society that favours shared experiences, movies have the power to influence. Hong Kong’s current film industry is slightly in decline. When you look at films today and compare them to the movies made back in the ‘golden age’ of the 80s and 90s, you realise just how good Hong Kong films were back in those days. Some say Hong Kong is a cultural desert, and though Hong Kong was never known for its sophisticated art house films, we remain a leader in Asian filmmaking and have our own special brand of film culture, which connects Chinese speakers from around the world. The Hong Kong film industry is increasingly targeting the Mainland market. Is that a positive change? It’s very subjective. From the point of view of creativity, it’s a step back. All markets follow ongoing trends and demands. Movies are products to be sold, so it’s natural that with the Mainland market greater than the one in Hong Kong, that’s where the industry is focused. There’s nothing inherently good or bad about focusing on Mainland audiences, but films have their own artistic and cultural values. As a filmmaker, I feel there should be some resistance to blindly following where the market is. On the surface, there’s some negative impact on Hong Kong’s film industry, but if we can place more confidence in our own films, we could see a rebound. Are you working on any projects currently and what exactly do you have in the pipeline? I’m working on several things right now, but I’m sure readers are more curious about my next feature film, which is going to be a sequel to The Way We Dance, which I hope to start shooting next year. Right now, I’m still working on the script and doing research for it. I hope after finishing other different tedious jobs, I can focus on the writing. Are you nervous about meeting expectations since the original was so well received? Not really. To make it different, I’m trying not to rely on the success of the first one. I’ll use the same people but it’s not going to be an extension of the first story. Finally, in one sentence, what makes a great film? If the world is better where the film exists, then that’s a good film. Thu Jun 30. Visit hk.sundance.org for more information.